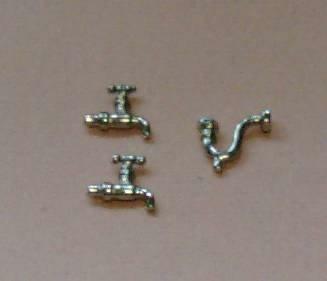 1/24th scale Pair of taps and a waste pipe. Taps are 9mm x 10mm. Handy if you have made your own sink.